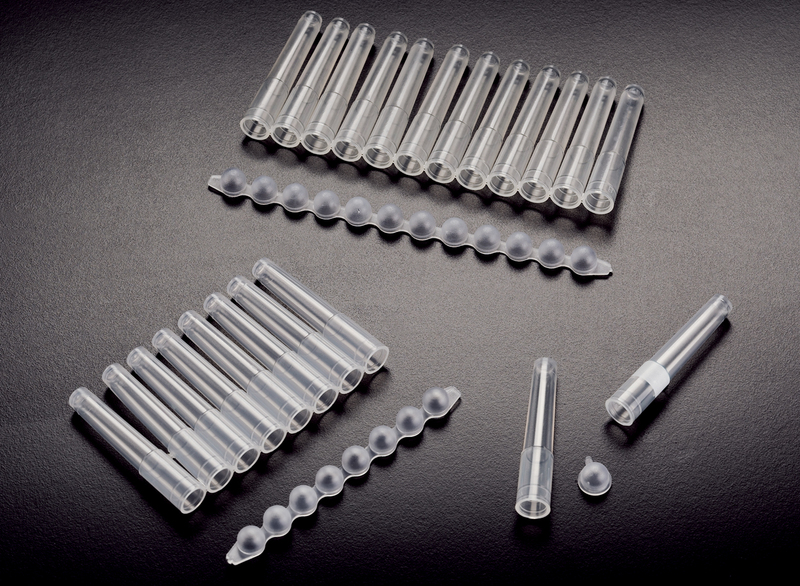 These racks have 1.2mL tubes which are available individually or in strips of 8 or 12 tubes, and are available sterile and non-sterile. 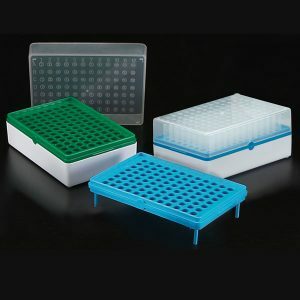 The tubes, strips, sealing caps, and boxes are available separately as well. All components are made from the highest grade polypropylene, are autoclavable, and can be stored at temperatures as low as -80ºC. 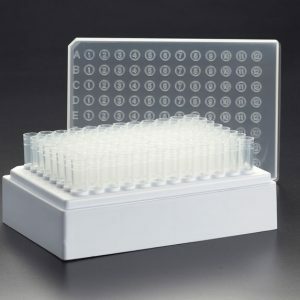 Each rack cover has an alphanumeric numbering system for identifying tubes and is supplied with a removable 96-place ID card for recording sample location. The transparent cover allows the user to see the contents of the rack and is keyed to the base to prevent misalignment. For choice of color please inquire.